Flexible. Highest-paying travel nursing jobs. Exclusive clients. Find the best contracts with our travel nursing agency. Consistently rated among the top healthcare staffing agencies, Elite knows what matters most to our nurses. Some the nation’s best registered nurses in the travel nursing industry proudly work alongside us and trust us. You can too. What does “per diem” mean? Per diem nursing jobs are those in which the nurse works by the day. In fact, the phrase “per diem” comes from the Latin term which means “by the day”. Part of our medical staffing solutions at Elite involves the placement of nurses in healthcare settings by the shift in Utah, Idaho, and Nevada. Healthcare centers and hospitals trust us to fulfill their per diem nursing staffing needs. You can too. Unlike Other Travel Nursing Companies and Medical Staffing Agencies… With Elite… You Come First. Always. Nurses are admirable. They comfort the sick. They hold the hands of loved ones. At Elite, we are honored and proud to work with the best registered nurses across the country. Whether you are looking for the highest paying travel nursing jobs in the United States or want to learn more about how to become a travel nurse , you will find the travel nursing resources you need here on our site. Browse the top nursing agency jobs or take some time to read travel nursing blogs that will spark your inspiration and help you advance your nursing career. 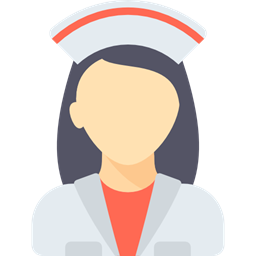 Every single nurse is different in terms of career goals, ambitions, and their availability for nursing agency work. We understand this difference and respect the unique needs of our registered nurses. Nurses love the variety and flexibility when it comes to the travel nursing jobs and per diem nursing opportunities found on our site. You can have peace of mind knowing that we put all of your needs first. The best registered nurses across the nation trust us to connect them to the hospitals and surgical centers that need their skills in various specialities. You will find options for per diem, contract, and travel nursing jobs here at our site, or you can also call or text us at tel:208-378-1338. Nursing to you is more than a job, it’s part of who you are. Your purpose. Your drive. Your contribution to the world. Your desire to impact the lives of some of the most vulnerable people in the community is admired by our staff and we are honored to help you advance your nursing career and meet your goals. Want to find the highest paid travel nursing jobs? 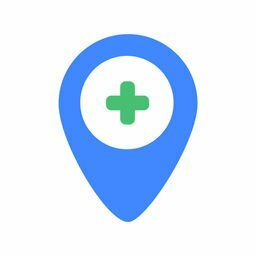 Searching for per diem nursing jobs near you? Fill out the simple application today. It takes less than 60 seconds to complete and you can start by clicking below to uncover the travel nursing opportunities that await. Travel nurses make a huge impact on the communities they serve. From the school house, to the doctor’s office, to the local community hospitals and the large-scale health systems – nurses are the trusted professionals encountered most. Elite Specialty Staffing is an RN (Registered Nurse) and BSN (Bachelor of Science in Nursing) based nursing staffing agency. For over 14 years, Elite has provided high-quality and reliable travel nurses to hospitals and healthcare facilities across the country. We provide hospitals and surgical centers more flexibility to manage patient census fluctuations, seasonality challenges, and full time in house staff morale. Our unique application process allows us to select and work with travel nurses who are ranked among the greatest registered nurses by their peers. We love our nurses and our team! Whether you are a registered nurse (RN) with an Associate’s Degree in Nursing (ADN), a Bachelor’s of Science in Nursing (BSN), or a Master’s of Science in Nursing (MSN), we have the highest paying travel nursing jobs and the best nursing resources for you. More than a nurse staffing agency, we are a holistic center for the advancement of nurses. On our blog, we frequently publish travel nursing news . Whether you are looking for answers to common questions such as “how to become a travel nurse”, “what do travel nurses make”, or “ how to choose the right travel nurse recruiter ”, you will find answers on our travel nursing blog . You will also find content published regarding the latest news about strike nursing and other important travel nursing industry updates. Hospitals and healthcare facilities trust us to find the best registered nurses to help flexibly manage patient census fluctuations, seasonality challenges, and full-time in-house staff morale. Allow us to let our nurse staffing resources work for you. Contact us today to learn about our services for hiring qualified per-diem and travel nurses. “... Your nurse is a very talented and ambitious RN. I received good reports on her and would be glad to have her back when the need arises." "The nursing staff at Elite Specialty Staffing are well-trained, flexible and reliable. We would recommend Elite Specialty Staffing to other hospitals as an excellent resource for day to day needs as well as contract needs"
"Your nurses demeanor and approach went miles above and beyond to put me and my wife at ease - not to mention you are flat out fun! Thank you so much for being who you are and taking care of my wife. " "... just so you know, you are NOT a normal RN Agency. Your team is different. I want to encourage you to keep the personal touch in your business. It can make all the difference. Your personal caring means a lot to your nurses. You are awesome in my opinon! Keep it up!" We stand by our name and behind our travel nurses – in every sense of the word. We proudly work with the best travel nurses in the industry. We consistently try to lift those with whom we serve and impact patients lives in the most positive ways. Elite Specialty Staffing places highly qualified travel nurses with hospitals and surgical centers in a variety of specialties through per-diem, travel, and short-term contracts. We understand that nursing is not just a job, but a purposeful part of who you are. You dedicate your life to helping others and we’re here to help you succeed in every way. If you’re looking for an opportunity to try a higher paying travel nursing contract, or to work with the best registered nurses in the country, then this is the place for you. Elite Specialty Staffing offers the most dependable team in the travel nursing industry, and taking the first step in your application takes less than 60 seconds!